A set of inline/biline capitals included in the Medium and Bold weights (and corresponding italic styles) of Battling . 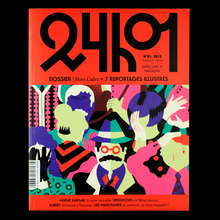 The Medium is a revival of Les Universelles Éclairées (Dutreix), which is a version of Elegant-Grotesk licht (Stempel). Provided as Titling Alternates, i.e. there are no separate fonts that are actually named Battling Titling .